We are happy to move your grand piano, upright piano, digital piano, organ, harps or other large objects that require a piano movers skill. We are NJ piano Movers! In order to obtain a quote for a move job please call (732)-462-4730. When calling about a piano move, some information is necessary to have on hand. The pick up and drop off address. The number of stairs and landings at the locations. Where the piano is going to be placed. Is an Insurance Rider Required for your location? Just let us know we will be happy to provide one. Any other special requirements or questions. 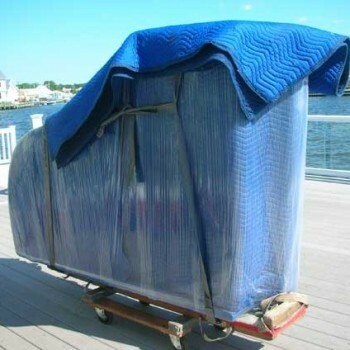 If your pianos final destination is in Florida, California or any were in between the continuous United States we can help you arrange to have your piano moved via a specialized long haul piano mover. Since a tractor trailer cannot come directly to your house, we pick up your instrument and our carrier transports it to another piano mover to be delivered to it’s final destination. When a piano is moved there is a chance it will lose some of its fine tuning. After a piano is in its new location the sound board and bridge will adjust to it’s new environment. This will make the piano in need of a tuning after a 2-6 week period. 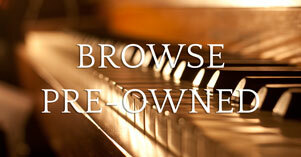 It is generally advised to have your piano tuned twice a year to ensure proper tone. Sometimes a pianos action (Keys, Hammers and such) will have a hard time adjusting to its new environment. This will result in sticking keys, double hitting notes, wood block sounding notes, and sluggish keys. This is a result of change in environment, pianos are very sensitive to humidity. If the problem does persist after two weeks from moving it is advised to have a technician ease the key.